Get to know YOUR vendors and neighbors. They come to Hakalau Farmers Market each week to support your culinary satisfaction, your health and the well-being of the Hakalau community. 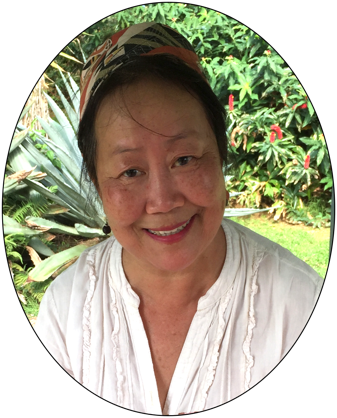 Yumiko Bamba, Banchan to us, is a healer...an herbalist of Traditional Chinese Medicine and practitioner of Quantum Healing Hypnosis Therapy (QHHT) utilizing her 20 years of experience as an acupuncturist. 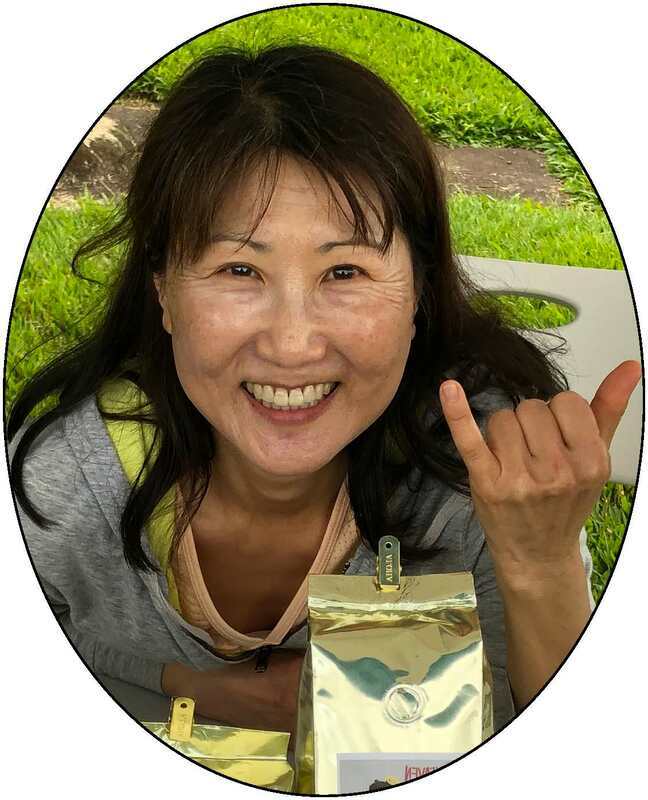 She brings her healing skills to Hakalau Farmers Market in the form of Chaga Mushroom Dual Extract, which she prepares herself. The Chaga Mushroom is known as the "King of Medicinal Mushrooms,” a powerful immune booster and is used to fight cancer and chronic inflammations all around the world. ​Come talk with Banchan to learn more! Benjamis currently offers papaya salad and summer rolls for the weight conscious among us, and a main course and dessert for the rest of us. Dao loves cooking for our community. Tuesday is the night we don't have to cook because Dao has done the work for us! Her curries like Panang Beef with Green Beans and Pumpkin Curry with Chicken as well as Pad Thai with Tofu are winners! Donna the Lettuce Lady grows her multiple varieties of lettuce using aquaponics. Aquaponics combines fish farming (aquaculture) with the practice of raising plants in water (hydroponics). Instead of using chemical fertilizers, plants are fertilized by the fish poo. Since the plants don't need dirt, aquaponics allows gardeners to produce more food in less space. Donna's lettuce is so beautiful, you can use it as a centerpiece on your dining table! Drean Barley is the founder for the Hakalau Farmers Market and FoodShare. He's a great source for a variety of sprouts, kohlrabi, fennel, various hot peppers and fermented vegetables, all grown on his farm in Ninole. Of course, what's available each week depends on what's in season. Ferol White supplies us with USDA certified, grass-fed lamb, figs, breadfruit, starfruit, jackfruit, limes, dates, avocados, rambutan and other fruits, vegetables and herbs. Stop by and share your favorite recipe for lamb! 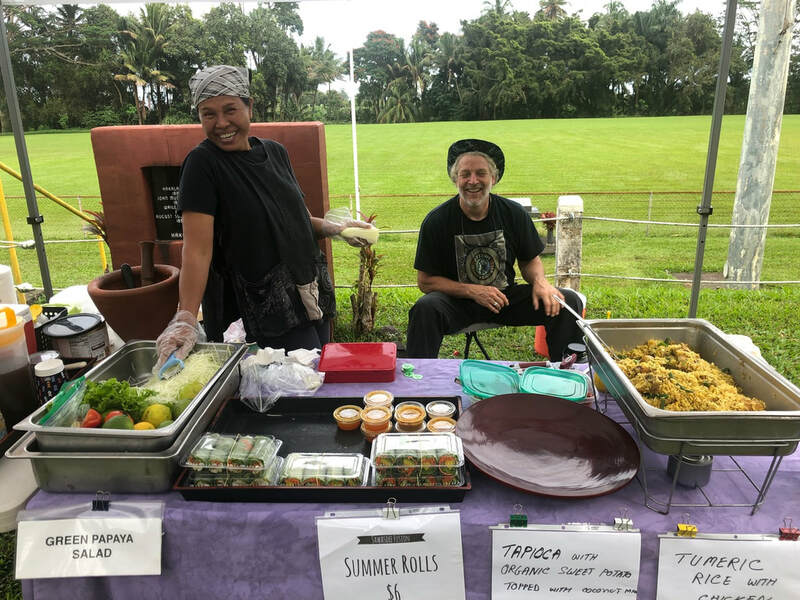 Deb and Rick Scrivens took over unofficial management of our market three years ago, and ran it, soup to nuts, for about two years, until we were kicked out of Hakalau Veterans Park. Deb then worked tirelessly to transform our market in a legal entity that could contract with a venue for a legal place to be. Deb is one of a handful of folks who kept the market alive in those days, and she continues to help in many ways. 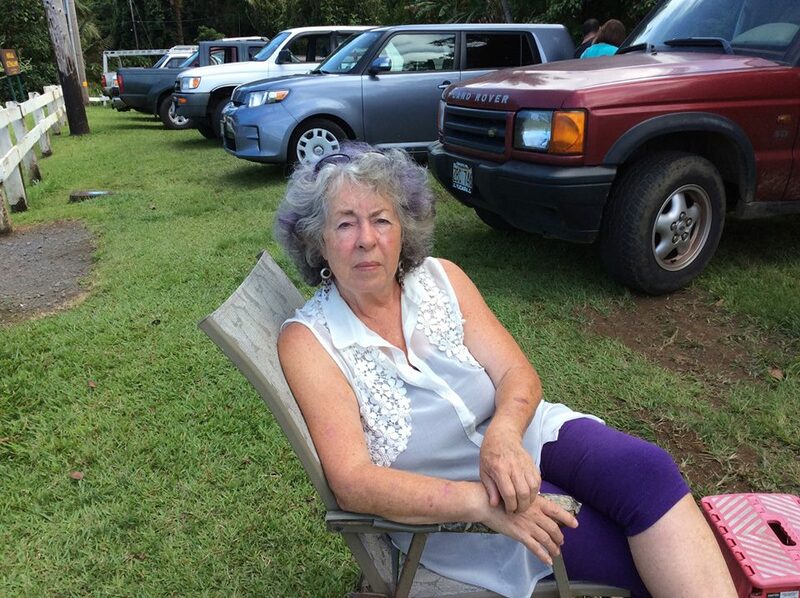 She and Rick also run a productive farm in Hakalau, and she finally has time to vend. Hart Springs Farm is in a land trust...it will always be a farm. 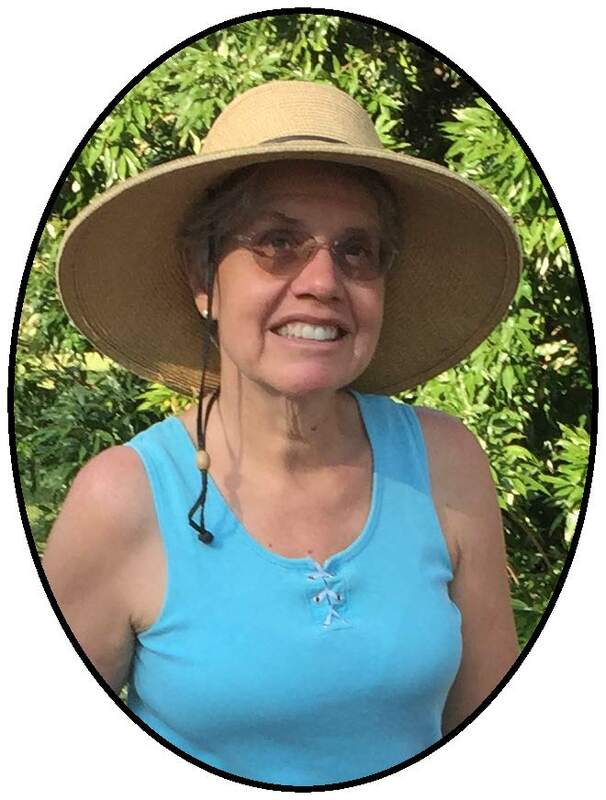 Corrine purchased the farm with the philosophy, "if I'm meant to be here, my plants will grow well." Grow well they have, including rambutan, star fruit, lemons, limes, cashews, lychee, cacao, and longan. Herbs will come in time. Julie and Linzy have sold sprouts for years. They may bring alfalfa, broccoli, clover, fenugreek, radish … anything but bean! Rachel, Dan, and WWOOFers bring us eggs from organically fed chickens raised in a forest garden; delicious sauerkraut and pickled turmeric paste; dried mamaki-tulsi tea; and assorted greens, perennial vegetables, root crops, and fruits—whatever is bountiful from their farm along Kamae'e stream. 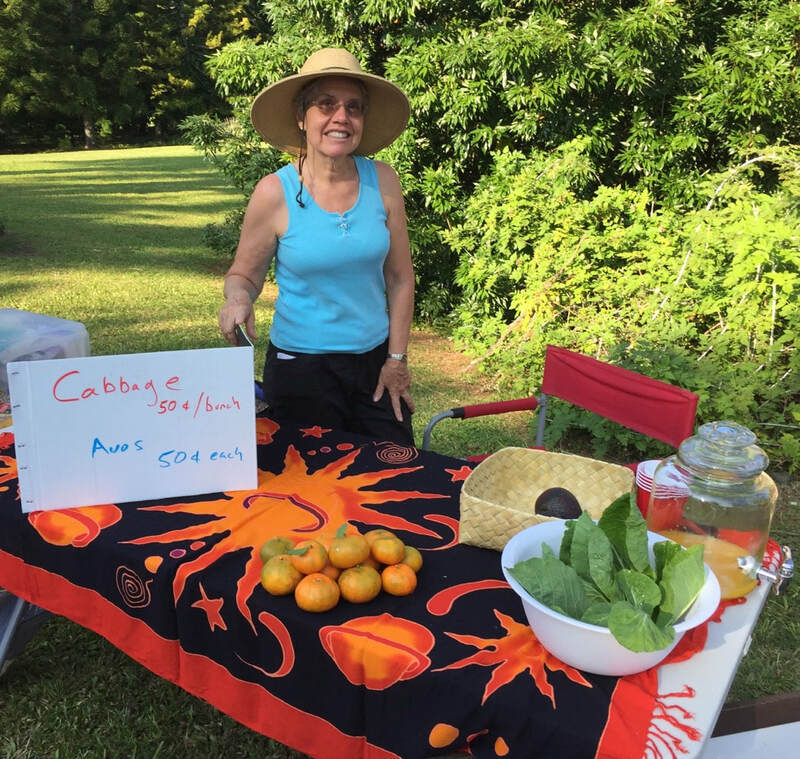 ​Long time vendors Janne and Rhiannon and their wwoofers are proud to bring you the bounty of Leonani Farms, including turmeric, white tea and many fruits and greens in season. 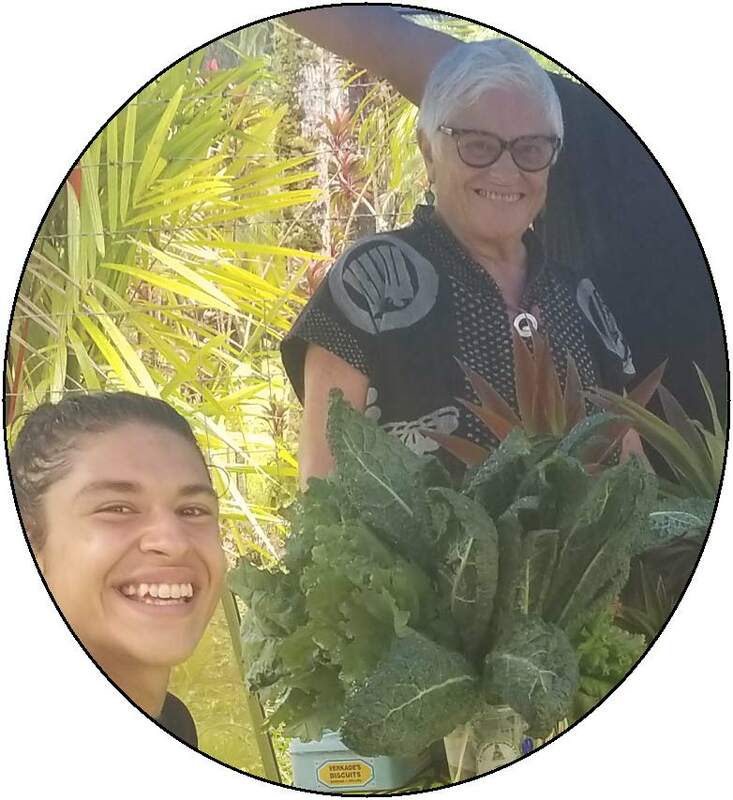 Owner Marina Trommer of Hamakua Gardens in Ninole is devoted to the Hakalau Farmer's Market and FoodShare, having participated since the beginning. Her baked goods, flowers and fruits are one of the main attractions. Be on the lookout for her lilikoi squares and chocolate brownies! Oi has come for years to the market at Hakalau Veterans Park, and also joined us at Botanical World. She sells small purses and bracelets, and other jewelry. She also brings fruit in season from Waipio Valley. Michael Tivana and Peach Goddard own and operate Ono Gardens on Chin Chuck Road in Hakalau, a collaborative of growers living on and off site. They specialize in tropical fruits, herbs, and vegetables to feed themselves and sometimes share at market. Joel Bridgman's produce is beautiful and bountiful. Raven Hanna and partner Jeremy Lutes moved to Hakalau recently, after several years in Puna. Educated as a molecular biophysicist, Raven had an epiphany in the mid-2000s that the organic molecule serotonin, "symbolic of happiness", would "make a pretty necklace." Now her Made with Molecules jewelry company is a huge hit with those who take their molecules personally. She offers silver jewelry at market, along with creative preserves, or whatever suits her fancy. See also MadeWithMolecules.com. 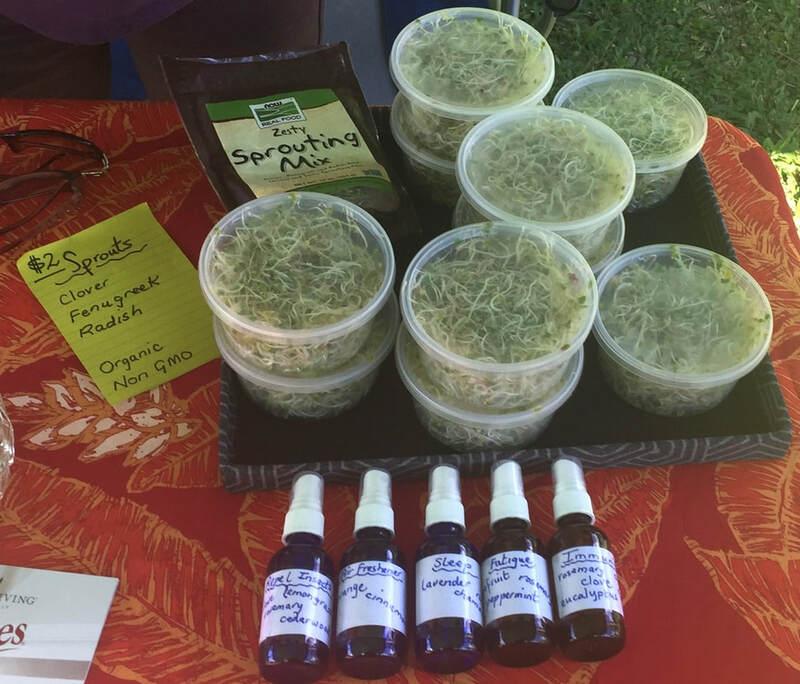 Chiropracter Dr. Shauna Lover brings balance to Hakalau Farmer's Market! Her sign says it all! "Balanced alignment keeps the nervous system helping you live a more Abundant Life!" Dr. Shauna Lover is a resident of Hawaii Island and offers a concierge mobile chiropractic service which means clients can enjoy having one-on-one service inside their homes. She brings compassionate attention and makes each patient feel as though they are the only client she has. 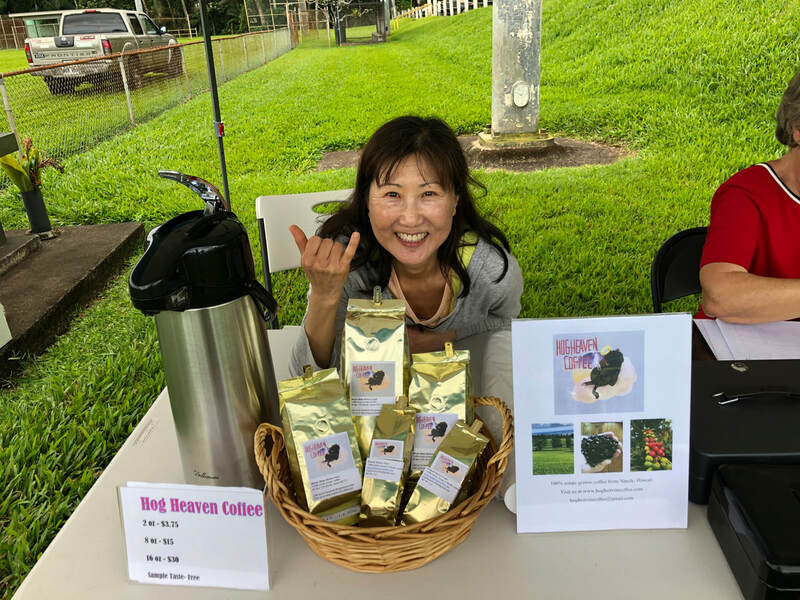 Sookyung and her husband moved to Hamakua, bought a coffee farm, kicked out the feral pigs, and called it Hog Heaven Coffee. They have 615 producing trees according to HogHeavenCoffee.com. Coffee is sold by the pound and half-pound, whole and ground. She offers delicious tastes of hot coffee, often with snacks! Theresa San Miguel has been sharing her healing skills as a certified healing touch practitioner at the Hakalau Farmers Market for four years. Come experience what Theresa calls "Aura Fluffing", better known as the Scudder Technique. This technique is used to alleviate congested energy from the joints. This is especially useful if you've been working at a computer all day, have been flying for a prolonged period, or are just feeling rundown. Come experience the extra clarity and lift of "Aura Fluffing". Tiffany's farm borders Hakalau Veterans Park on the north, and she can walk her produce to our original vending spot. Tiffany was the first vendor to join Drean at the Park, years ago. They kept each other company for a year or so before the market slowly began to take off. 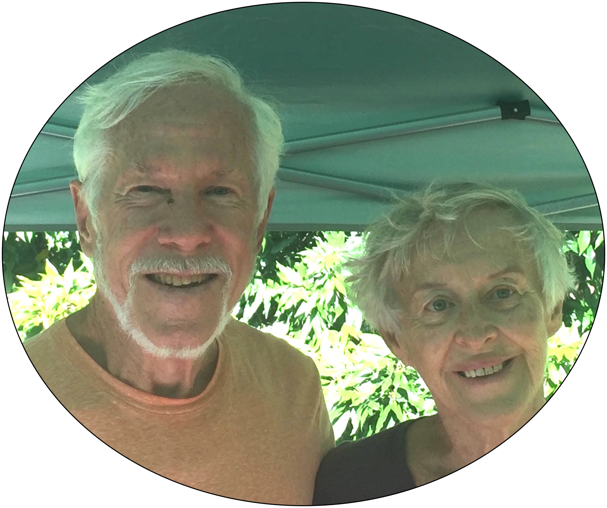 Chuck and Janet Sorenson are longtime residents of Wailea and long-term vendors at the Hakalau Farmers Market. They bring honey, beeswax candles and a variety of fruits to the market. A special treat is a jar of honey with honeycomb inside...a great gift!